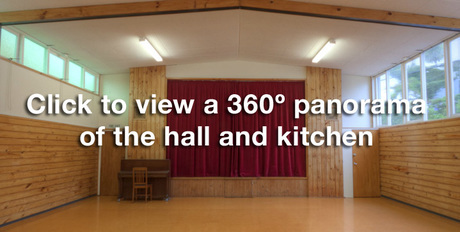 St Michael's Community Hall is great facility in the heart of Kelburn village, Wellington. It's equipped with a kitchen, stage, men's & women's bathrooms, and a meeting room (McKenzie Room) that can be booked separately. The hall is in high demand for 21sts, dances, community group events and other private functions, so do book well ahead to be sure you get the day or time you want! * Discounts are available for regular bookings. ** Plus a refundable deposit of $200. on the nature of the event. Contact the hall administrator for details.